For more than 35 years, Kitchen Kreators Ltd. has been building award-winning kitchens and bathrooms that truly exemplify luxury, personality and beauty. We’ll do whatever it takes to craft a unique space that you can be proud of, blending functionality, aesthetics and innovation. For many people, the centerpiece of their home isn’t their living room or even a dining area—it’s the kitchen: a space where food is prepared, families meet, parties congregate and even where some people relax. Because the kitchen has become such an activity hub in modern homes, the demand for luxury, beauty and accommodating functionality have risen, paving the way for a surge in custom kitchen designs. At Kitchen Kreators Ltd., we understand the importance of a quality kitchen design and have been creating alluring indoor and outdoor kitchens in Jackson, MS for over three decades. 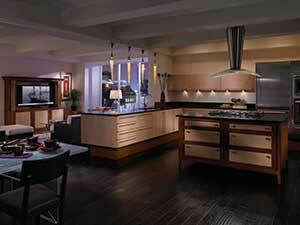 We are Certified Kitchen Designers and extremely respected in our service area. We carry only the finest appliance brands and construction materials. We’re proud to serve the greater Jackson, MS area and the surrounding area cities. We offer free estimates to all prospective customers! There’s no feeling better than the one you’ll get when you experience the kitchen or bathroom renovation of your dreams. Let us breathe new life into your home today!